Stuff your bag when storing with this custom made storage stuffer. Storage Stuffer is made of Geena Silk and stuffed with 100% high quality polyster. 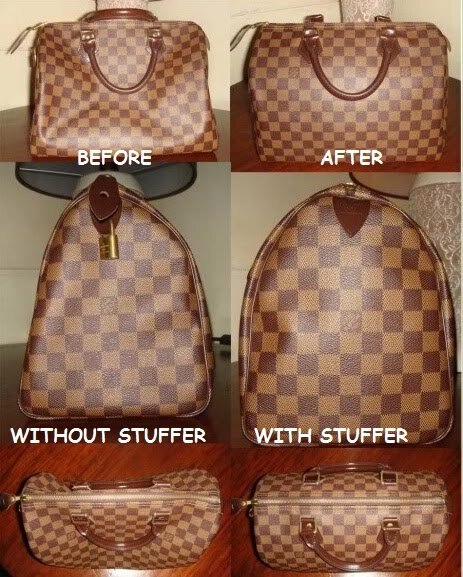 When the bag is stored and folded for a time it creates lines that are nice to look at and may cause permanent mark or worse cracks on your bag.To prevent this from happening store your bag stuffed. Some may opt to use old towels, clothes, papers and plastic to stuff their bag, but wouldn't it be easy if you will be pulling out a one piece thing from your bag?! Storage stuffer is another bag accessory that is worth buying as you are preserving the beauty of your bag.